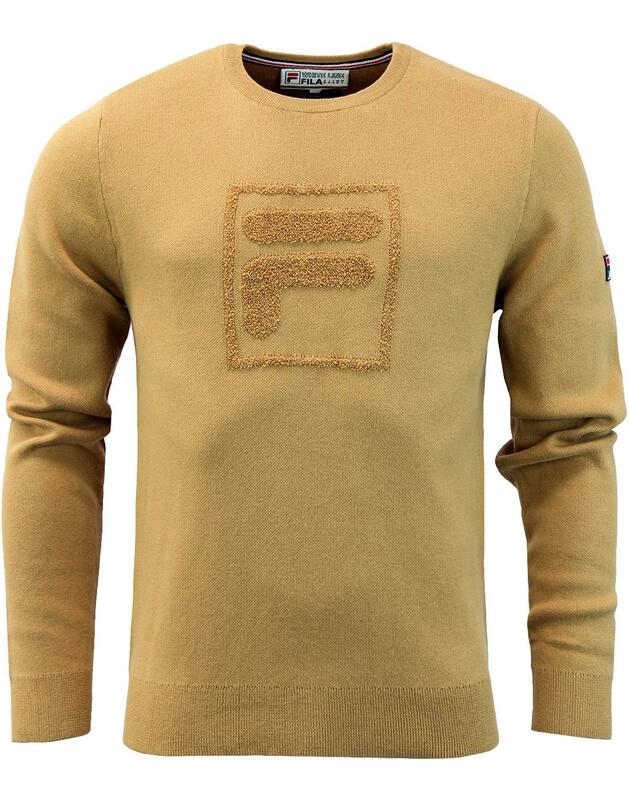 Fila Vintage 'Savoldi' Retro 70s Texture logo crew neck jumper. 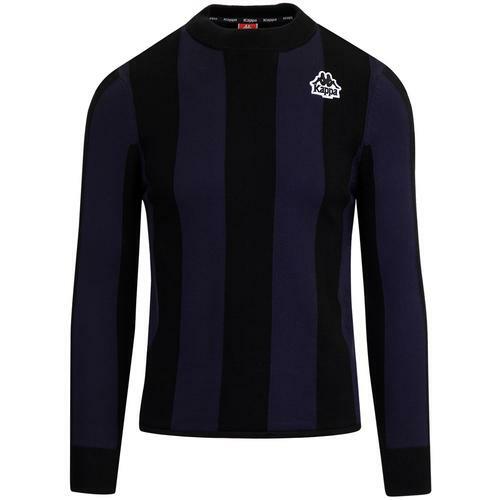 The super soft cotton construction of this jumper makes it a real Retro treat. Iconic Fila Vintage 'F' box to chest in a raised texture design. 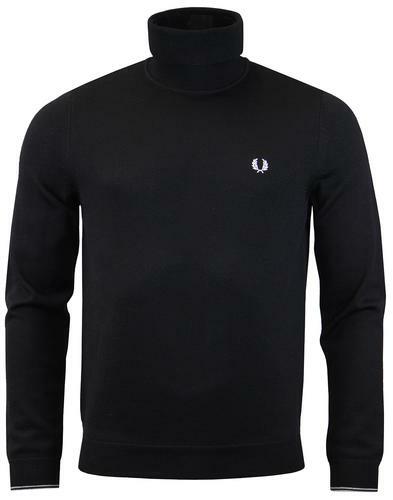 Ribbed Crew neck follows the classic 60s Mod sweater. Fila Badge to left sleeve adds a cool 80s Terrace-wear vibe and finishes this fab knitted jumper. 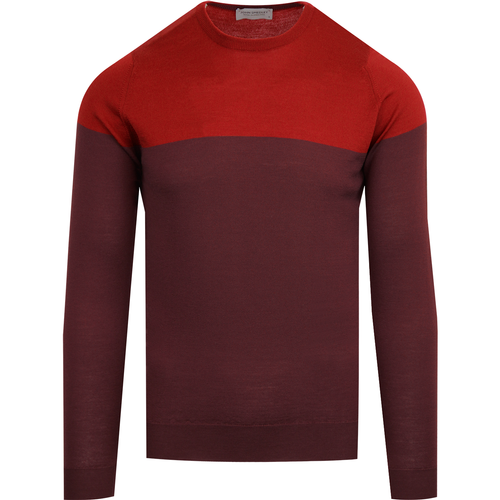 Stunning autumnal colourway makes this the perfect jumper for any layered outfit. 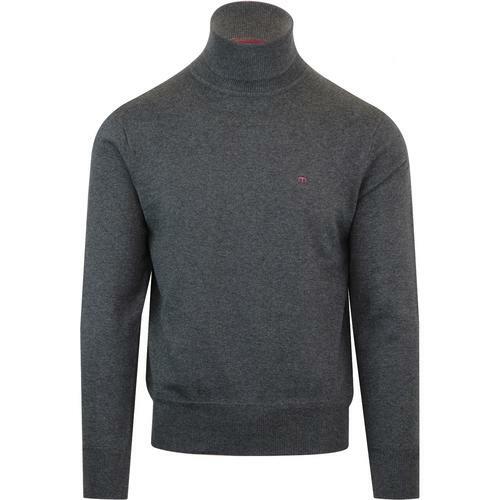 - Fila Vintage Men's 'Savoldi' knitted texture logo jumper. - Textured 'F' box logo to chest. - Fila logo badge to left sleeve. - SKU: FW17VGM18 Savoldi F-Box Jumper.